Last month in a blaze of publicity Disney launched DisneyLife, a new internet based on-demand streaming service that allows subscribers to access a range of Disney films, books, music, apps and TV shows in the United Kingdom. In the future DisneyLife will be the home of content including over 5,000 music tracks from Disney’s back catalogue including High School Musical and Frozen, books based on Winnie The Pooh and Pixar’s Cars, and more than 2,000 TV show episodes. Sadly Disney’s Star Wars and Marvel brands are not included within DisneyLife, they’ll be offered as separate subscription – based services which will be launched at a later date. Each DisneyLife account can have up to six profiles, and while content can be viewed on the Web, there’s a strong emphasis on support for iOS and Android devices, including Android TV. Subscribers can also push music and video to TVs via Chromecast or Apple TV, though the Apple TV support is in the form of AirPlay, and is limited to SD video quality. So after trying the service for a month will I be continuing with my £9.99 a month subscription. Unfortunately for Disney no I won’t. The problems I have with the service is that unlike many other on-line streaming services like Netflix and the BBCs iPlayer for example is that there is no Smart TV App available so you can’t access the service from your television set. The service also does not work on older versions of Android tablets, which is just the type of device parents pass on to their children to use. Trying to find something to watch on DisneyLife is also a bit of a mission. The search tools are appalling to use. You would think that just by typing in the name of a movie would bring it up. But no – you have to go through a very complicated scrolling process to find what you want to watch. But my main bugbear with DisneyLife is that you cannot download a movie or TV programme to your device to watch later unless you have an active internet connection. So downloading something to watch on the commute to work on the bus or train when your 3G / 4G connection is patchy or non-existence is a no no unfortunately. Disney has come very late to the on-demand internet streaming world, and I was hoping that a more polished product would have been released by a company the size of The Walt Disney Company. If the service was free I would not mind so much, but for a £9.99 a month subscription fee (£120 a year) Disney has launched a very inferior product compared to the many other on-line streaming services that are already available in the market place. 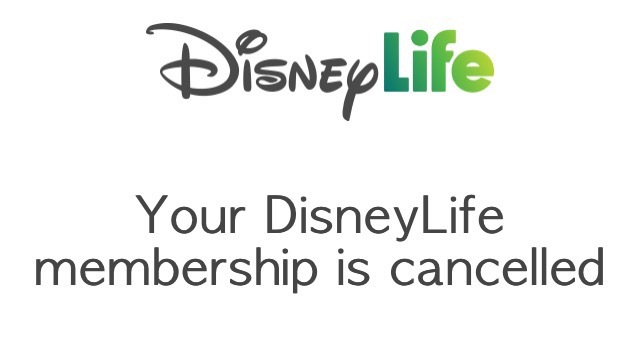 Overall I’m left feeling very disappointed with DisneyLife, considering the huge back catalogue that Disney has available at its disposal the movies and shows available are very limited, and if your a Disney fan like myself you will already have all the content available on CD, DVD and Blu-Ray. It’s a great shame that DisneyLife does not give you the magic at your fingertips their advertising tag line would suggest. The race rules for the inaugural Disneyland Paris Half Marathon weekend have been published on the run.disneylandparis.com website. The full rules which come to eleven pages can be found here. The Disneyland Paris Half Marathon Weekend 2016 is a sporting event with several races. It will take place on Saturday 24 and Sunday 25 September 2016 in the Disney Parks of Disneyland Paris (Disneyland Park and Walt Disney Studio) as well as in the Disney Village and also in villages surrounding the resort. Running through the two Disney Parks, Disney Village and the surrounding villages. Stated in the National calendar of the French Athletics Federation. The race plan will be available on the runDisneyland Pairs website no later than 31 August 2016. It will also be posted on site at the runDisney Health and Fitness Expo and will be included in the official guide given to each participant with his bib. Disneyland Paris expands its opportunities to meet Disney characters. Disneyland Paris released a Press Release yesterday promoting it’s Disney characters Meet ‘n’ Greet opportunities for 2016. As of 8 January 2016, Disney characters will be more and more present in Disneyland Park for the greater pleasure of our Guests. Through the sustained presence of certain Disney characters and their expanded schedules, the addition of new meeting points as well as Extra Magic Hours, 15 possibilities of meeting Disney characters will be offered so that Guests may experience even more magical moments. Place: In front of Plaza Gardens Restaurant – Main Street, U.S.A.
Place: Town Square near Discovery Arcade – Main Street, U.S.A.
Place: Town Square near Liberty Arcade – Main Street, U.S.A.
Place: Casey’s Corner – Main Street, U.S.A.
Meet Aladdin or friends : date to be confirmed. Extra Magic Hours will always present the opportunity for Guests residing in our Disney Hotels to meet their favorite Disney Characters at four meeting points (Disneyland Park or Walt Disney Studios Park). Meetings with Mickey and Minnie Mouse are the most asked for. For more than 84% of our Guests, the opportunity to personally meet Disney Characters represents for them and their families an event not to be missed during their stay at our resort. The Euro Disney S.C.A Shareholders’ Club informed it’s members today that the 2016 Annual General Meeting relating to its 2015 Fiscal Year will be held on Wednesday 17 February 2016 at 9:30 a.m. at Disney’s Hotel New York Convention Center at Disneyland Paris. The preliminary notice of meeting is available, in French only, on the corporate website in the General Meeting page of the Shareholders section. Shareholders will receive, by the end of January 2016, all the information regarding the Meeting as well as practical details on how to attend. Author Salon MickeyPosted on December 21, 2015 Categories UncategorizedTags AGM, Euro Disney S.C.A. 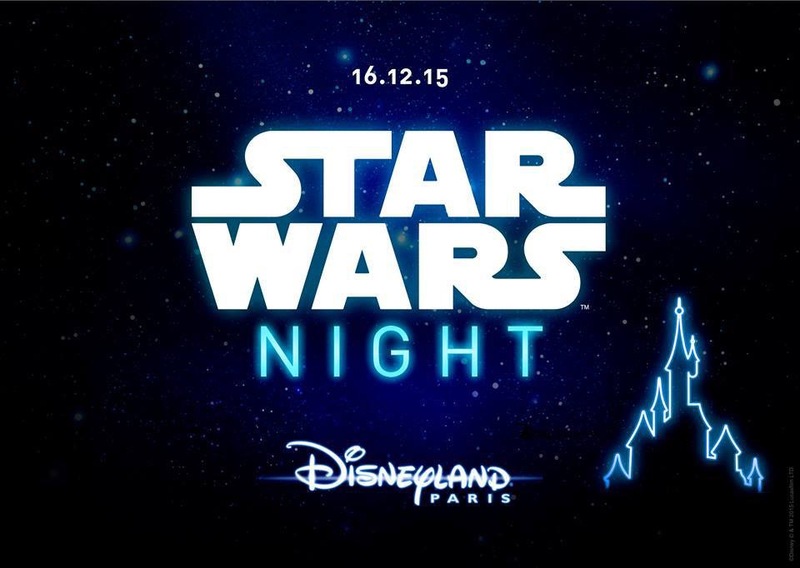 Peter from Today Magic Time has managed to get is hands on the programme for the Star Wars Night Party being held in Disneyland Paris on Wednesday 15 December 2015. All timings are subject to change and have not been officially confirmed by Disneyland Paris. French newspaper Le Parisien, reported yesterday (30 November 2015) that Disneyland Paris has been the victim of a further €48,000 loss due to stolen credit card details being used to purchase e-tickets to the resort. It is reported that a resident of Noisy-le-Sec (Seine-Saint-Denis) purchased €48,000 worth of e-tickets to the Disneyland Paris theme park using stolen credit card numbers he had bought in advance on an illegal website. He then used these credit card details to order 819 e-tickets to the parks between 11 April 2015 and 10 October 2015. A portion of these tickets were sold directly at the entrance to the theme parks. The French Border Police (PAF) arrested the swindler, last Friday at Beauvais airport, while he was returning from a week’s holiday in Budapest, Hungary. The man aged 32 who was not known to Police also opened three bank accounts under a false identity and acquired two consumer credit loans in the amount of €5,000. This is the fourth case of it’s kind reported to the Police of Meaux by Disneyland Paris this year and it is estimated that the resort has lost around €800,000 in E-ticket revenue due to credit card fraud in 2015.